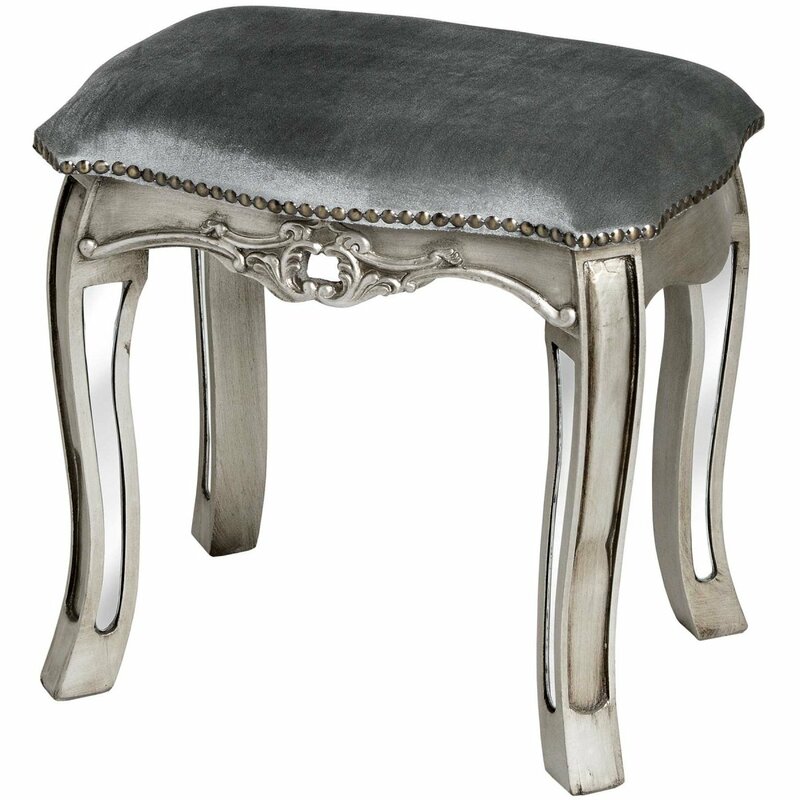 The French Silver Dressing Table Stool is in the style of French Louis XVI and would complement any French Silver Dressing Table. 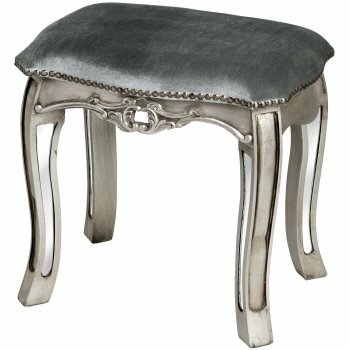 A petite, upholstered stool with beautiful carvings to the frame and mirrored legs has painted silver finish for a French feel. Beautifully designed, small stylish Stool makes the finishing touch to any silver dressing table.